Sold by Modonix and Fulfilled by Amazon. Gift-wrap available. 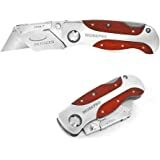 Sold by: Suncoast Precision Tools Inc.
Amazon's Choice for "bahco laplander"
Sold by Modonix and ships from Amazon Fulfillment. Limited Warranty: Snap-on Industrial Brands warrants that BAHCO products shall be free from defects in workmanship and materials for the usable life of the product. Ah, the infamous Bahco Laplander. Now I see why it is revered. It is a great saw. These, the Silky's, and the Corona are very popular and often touted, compared, and argued about. I can't speak about the Silky's, I'm sure they are great... but I do own the Corona and find the Bahco to be a much better saw. I can see how some might say the Corona is 'faster'... but I think that may be related to it being slightly bigger, and also to a large degree, user preference (regarding push/pull cutting). 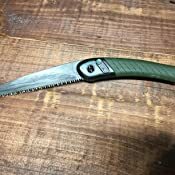 I find the cutting of the Bahco to be superior and have a more natural 'feel' to it (may be something with the push/pull of the 2 saws, I will have to read up on that a little, don't quite get it). But I don't like the cutting action of the Corona at all, it sometimes tries to bend, drag, and just feels 'dull' even tho it cuts. The Laplander just feels very sharp, and very efficient, and well made in the hand. 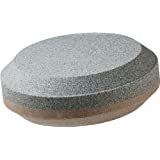 Had mine for a little over 2 years and held up very well (fair amount of use, cut a LOT of 1/2" to 3" dia. firewood). I frequently start out my work at the wood pile with the Corona in an effort to get use out of it, give it a fair shake, and frequently compare the 2... I always regret it, and quickly reach for the Bahco to finish the job. This is for trees and firewood mind you, perhaps folks are doing yard work/landscaping with them, and is why people like the Corona. I would say it cuts palm fronds better and faster than the Bahco. Not real wood. 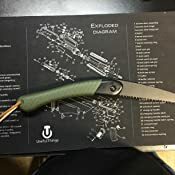 For a bushcraft/camping saw, Laplander wins resoundingly. 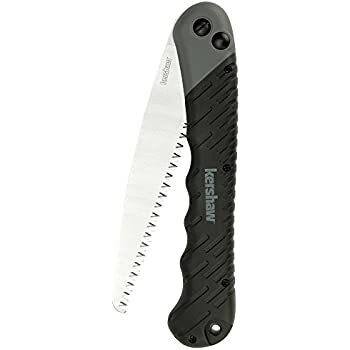 Purchased another one this year as a backup since replacement blades can't really be found, you just gotta buy another saw. 5.0 out of 5 starsGreat saw! Have I taken the Laplander saw on over 50 hiking and camping trips and it has held up like no other. Still razor sharp and flys through wood! 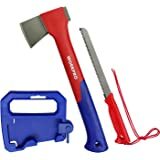 I've cut down small trees with this thing one handed it's great to use it does not leave my side on any hiking or camping trip I take. Haven't used the knife that it came with at all though not a fan of the handle ergo's just kinda blocky feeling. 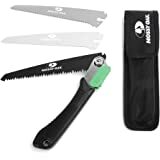 Recently purchased this saw and knife and used the saw on a backpacking trip along the AT in northern Georgia. 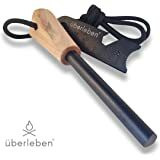 I used it to cut down a 40-ft dead tree with trunk diameter of about 4-inches and then used it to cut up the tree into fire-logs. It did amazing. Highly recommend this saw. 5.0 out of 5 starsAre you contemplating between Bahco or Corona? I cut down numerous trees ranging from 2-7 ft using the BahCo Laplander and Corona RS 7265 last weekend. Like many people, I was contemplating between the Bahco, Corona and Silky. For me, Silky is the clear winner but I have removed it from this comparison as it's much more expensive than the two. I purchased the 7in. 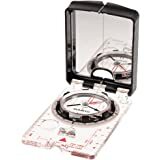 Bahco for $20 on Amazon and 10in. Corona for $20 at a local hardware store so I figure it's a fair comparison. 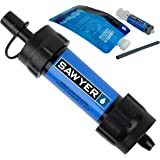 I noticed that on multiple reviews, people state that the Corona RS cuts faster and are overall better than the Bahco. While this is true, atleast for the first 10 cuts or so, I wonder if they used the saw extensively before writing their review. After 5 hours of cutting, the Corona became dull and there were lot of blade play. The blades were also bent out of shape. The Bahco in the other hand, retained straight blade and still cuts like when it was brand new. While I agree with most people that say that the Corona is a good saw for the price, I cannot agree on it's build quality. The Bahco easily trumps the Corona in terms of build quality. It's smaller, more consistent and durable compared to the popular Corona RS. 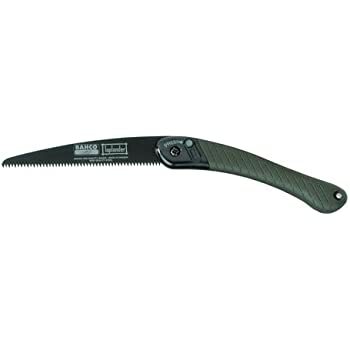 If you're wanting to get a long term use of the saw, or not wanting to replace the blade after each work session, get the Bahco. I don't do a lot of reviews but I am thoroughly impressed with this combo. I was not in the market for a knife but the price was right so I took a chance. I had decided on the saw well before finding it here and let me tell you it did not disappoint. 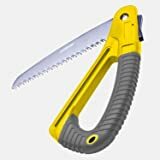 I used it to prune some growth off of the lower section of my oak trees, because I don't like being on a ladder with a chainsaw going, and the saw performed excellent. With what seemed like only a few strokes I was through the oak branches. It worked so well I even used the saw to break them down further into more manageable pieces. 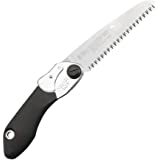 The saw is great and all reviews saying so were correct. Now the knife. Like I said I was not in the market for one but I went ahead and got the combo figuring "can you really have enough knives". 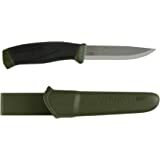 It is Stainless (or at least mine is) so I decided to add it to my camping gear for a food only knife. Went camping a few weeks back and this thing was great. 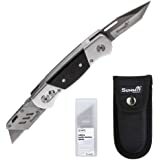 Razor sharp out of the box, well used during the trip and still just as sharp so I am happy with its ability to hold its edge and the knife itself seems very well built. Overall I am very pleased. 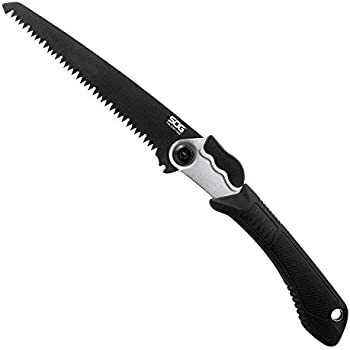 Only thing I would like better, and this is my personal preference, would be if the saw was Orange like the knife. 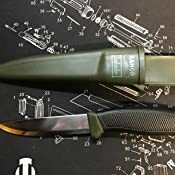 I can see it being easy to lose in its current state of green and I hate painting tools just so I wont lose them in the woods and it makes them look like...........well it makes them ugly. 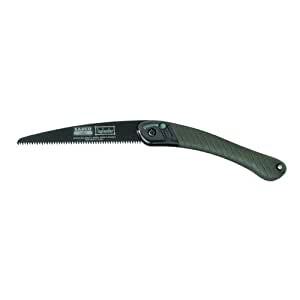 5.0 out of 5 starsAn excellent saw and knife at a price point you can't beat. This saw works great! I carry it in my day pack or in a pants pocket, in the woods. It locks closed and open. I consider this a very nice safety feature. 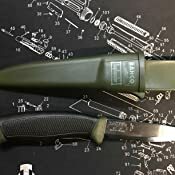 The knife is a Morakniv with Bahco's name on it. 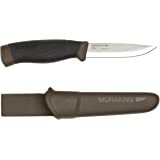 I already had two of the Morakniv knives, but I ordered the combo, so I could give the knife to my wife. 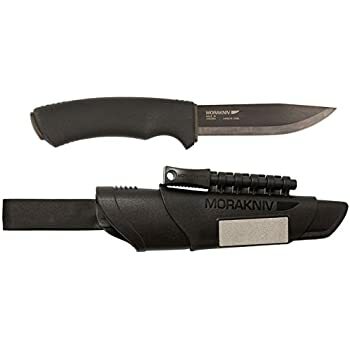 I couldn't buy the same knife separately, for what I paid for it in the combo pack. I'll be buying another of the Laplander Pruning saws soon. Not because of any problems, but because anything I consider essential, is worth having two of.